Are you tired? I’m tired. It can be daunting, day in and day out, being taunted by marginal price swings, busted projects, and predatory actors. However, just as market variance and volatility swings towards the bleak, vapid, and exasperating, causing one to wonder when they may be granted reprieve from the ICO and blockchain project dreck of our present-day cryptosphere, it also swings towards the profound, seditious, and invigorating, (hopefully) instilling an impending sense of exculpation and eminence. Or, at least it should for those who truly recognize blockchain’s potential to correct and overhaul traditional (and ineffective) mechanisms and institutions dictating nearly every facet of life. As Chumbawamba says, “I get knocked down, but I get up again, you’re never gonna keep me down.” Hopefully this piece serves as a pick-me-up for the crestfallen and forlorn, as their reminder that opportunity is at its ripest, and that sometimes you need to crack a few eggs to make an omelette. Keeping with several past articles, which have explored projects with potential to reach the billion dollar market club and penny cryptos set to explode this 2018, we’re taking a look at 4 blockchain projects which we believe should be in the top 50 of all market capitalizations. And, it always bears repeating, when investing in cryptocurrencies and blockchain projects, it’s extremely important that you do your own research. This article is here to serve as your introduction to projects you might otherwise not have heard of or looked into in depth, and not your Gray Sports Almanac with all the answers and concrete future outcomes. Now, let’s get into the meat and potatoes. Below are 4 low market cap cryptos that should be in the top 50 of all cryptocurrency market caps based on their overhaul of traditional institutions and blockchain infrastructure. This article should NOT be taken as investment advice and altcoins are not ranked in any specific order. Striving to become THE premier decentralized liquidity network in our fragmented blockchain ecosystem, Kyber Network is connecting the tokenized cryptosphere by enabling seamless and instantaneous transactions between ecosystems, platforms, and projects. 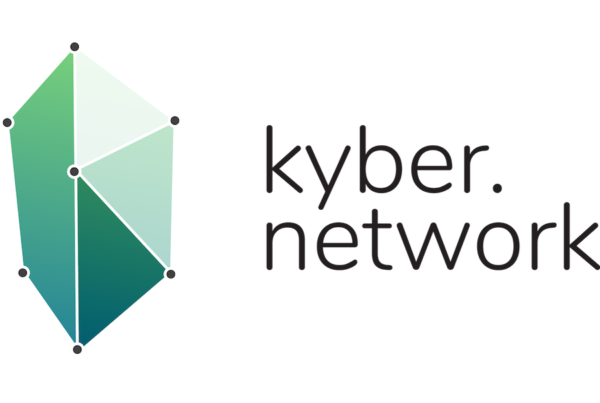 Simply put, Kyber Network is authorizing nearly anyone to tap into a liquidity network for countless inter-token use cases while utilizing on-chain liquidity pools for DApps and other applications. Platform Agnostic: Any protocol or application may be powered by the Kyber Network liquidity pools, regardless of platform, network, or token. Instant Settlements Without Transaction Uncertainty: Kyber Network eliminates settlement risk (the possibility of one party failing to deliver their end of the bargain) through a decentralized architecture. Ease of Integration: Running fully on-chain and with guaranteed transparency, Kyber Network’s protocol is developer friendly and “highly compatible” with other platforms and systems. Think of Kyber Network as the glue connecting all isolated and dissimilar token projects and ecosystems, sanctioning utility far beyond the reach of a project’s specific ecosystem. Bitcoin originated as one of the first cryptographic cryptocurrencies, followed by Ethereum, which allowed for easy creation of tokens and tokenizations of assets. Unfortunately, such tokens were confined only to the walls of their respective ecosystem. So, how exactly does Kyber Network work? Kyber’s “open reserve architecture” incentivizes platforms and projects to put forth their idle token assets in return for a slice of transactional spread. Proffered tokens are then available across any platform participating in the Kyber liquidity network, increasing not only token utility, but liquidity as well. For example, Kyber’s decentralized liquidity network provides an opportunity for vendors to now accept payments in various different tokens on their, say, e-commerce platform, while retaining control over the preferred token they actually receive. Having launched their mainnet in Q1 of this year, Kyber Network has since hit the ground running, onboarding projects and tokens left and right (now boasting over 50 tokens on the platform). 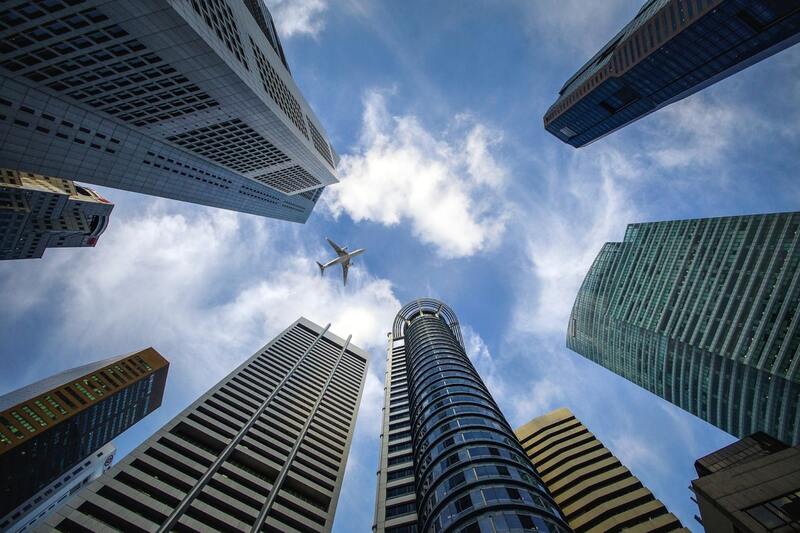 Most notably, from mid-2018 on, Kyber Network has established their KyberDeveloper Portal – which provides a framework of elaborate documentation and APIs for any platform or application looking to tap into Kyber’s liquidity network – made significant strides towards expanding their global presence (opening a Vietnamese office and entering of the Japanese market), and begun touring blockchain conferences in Europe and Asia. Furthermore, they’ve locked up over 20 notable partnerships with cryptocurrency wallet titans ranging from MyEtherWallet, to Trust Wallet, all the way to imToken. As of date of publish, Kyber Network sits comfortably in 102nd place on Coinmarketcap.com’s rankings by overall market cap, and in the 8th spot for top decentralized exchanges on Etherscan (responsible for nearly 3% of transactions on the Ethereum network). Furthermore, KNC price on Coinmarketcap is US$0.39 or 5,860 Satoshis. Just as the ravens of the fictional world of Westeros acted as messengers of truth and information, Ravencoin is a “use-case focused blockchain” striving to establish and disseminate statements of truth concerning ownership of digital assets in today’s cryptosphere. Ravencoin’s open-source and free protocol emphasizes transparency, prioritized security, privacy, user control, and censorship resistance, employing the x16r  Proof-of-Work (PoW) mining with the overall goal of preventing collusion and monolithic dominance by unscrupulous mining pools. To check out the history and reasons behind Ravencoin’s algorithmic change in greater depth, we strongly recommend reading Ravencoin’s algorithmic paper here. CEO: chosen to keep protocol power in the hands of developers through having no private or public founder. Finally, the Ravencoin project can also serve as a core base and starting point for projects, secon-layer solutions, and other business ideas looking to benefit from Bitcoin-based code or the entirely unique features of the Ravencoin blockchain. Not even one year old and still yet to have launched on any major exchanges, Ravencoin is still in the midst of catching traction. Ravencoin’s white paper opens with a “thank you” to the Bitcoin’s anonymous founder Satoshi Nakamoto and developers, which is only fitting due to the platform’s origination out of the continuous efforts of over 420 Bitcoin developers and their 14,000 commits pre-Ravencoin fork from the Bitcoin protocol. However, the point at which Ravencoin has separated itself from Bitcoin, and is doing it right, is through their emphasis on organic growth, ensuring malicious and concentrated actors aren’t disrupting and harming the network. Ravencoin’s ASIC resistance is seeking to redemocratize mining, making it a prime candidate for cryptocurrency users and investors seeking to align themselves with virtuous and fair projects. As of date of publish, Ravencoin is ranked number 162 by market cap on Coinmarketcap.com, with a nearly $30 million dollar market cap. For those curious about price, 1 RVN is roughly US$0.014 or 212 Satoshis. 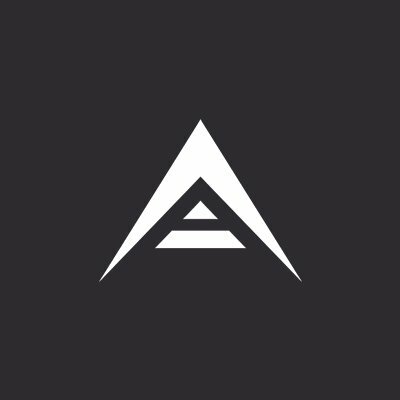 Striking a hard-to-achieve balance between power and ease-of-use, ARK’s all-in-one ecosystem is tailored for maximizing developer productivity in hopes of making blockchain technology easily accessible to consumers, even to the point where consumers are completely unaware they’re actually using it. Specifically, ARK boasts 3 defining features, all of which are simplifying blockchain integration and creating a “virtual spiderweb of endless use-cases” for a highly scalable, adaptable, and flexible platform. SmartBridges: a mechanism to bridge validated and proprietary blockchains, enabling communication and transmittance of informational data and transaction notices between different chains, along with connectivity to “centralized” services. For example, “Server A” on the ARK blockchain can now send X amount of ETH to “Server B” on a separate blockchain or service. Robust Programming Languages: easing creation and deployment of blockchain technology is ARK’s integration of numerous alternative programming languages (e.g. Ruby, Python, Java, Elixir, and more), so any developer can feel confident creating and building on top of the ARK platform. Delegated Proof-of-Stake (DPoS) Consensus: ARK’s DPoS consensus mechanism creates a representative democracy for users to utilize their stakes (ARK holdings) in order to nominate delegates who subsequently validate transactions and further protocol development. Bestowing true voting power with its users significantly increases the cost of a hostile takeover and eliminates the overall chances of it ever happening, solidifying ARK as a secure and trustworthy network to operate on. And, the true beauty of ARK? As mentioned above, ARK is geared specifically towards bringing crypto and blockchain technology to the masses, offering a true all-in-one solution for nearly every industry looking to integrate blockchain technology into their operations. While a good portion of projects in today’s cryptosphere have taken this bear market as a cue to slow down and start liquidating ETH, ARK has kept building, hitting milestone after milestone. Specifically, in mid-August of 2018, ARK rolled out their core V2 DevNet in order to “squash any final bugs” in their codebase prior to the ARK Core hard fork. Additionally, they’ve secured several notable partnerships with Marachain – a platform enabling the secure exchange of digital documents – and Ø Crypto Union – a crypto banking and security token platform – both of which are integral for solidifying ARK’s position as a comprehensive provider of blockchain solutions. Think of ARK as the ultimate turnkey solution, packaged and ready for those looking to integrate blockchain technology into their business, but unable or unwilling to expend exorbitant development and training costs. As of October 1, 2018, ARK is ranked #83 by market cap on Coinmarketcap.com, with one ARK going for US$0.71 or 10,845 Satoshis. Looking for 5 major reasons ARK is primed and ready to permeate the top 50 of cryptocurrency market caps in the future? Check out our article breaking down 5 core features of ARK and why it has positioned itself for a bright future ahead. And, if you’d like to read up further on ARK’s utilization of DPoS as a consensus mechanism even further and acquaint yourself with running delegates, or, are looking to set up a delegate node yourself, check out this post from the ARK blog explaining DPoS in greater detail, along with several links to current ARK delegates and how to submit a proposal. Creation of networks of organizational and P2P creditworthiness vouching. 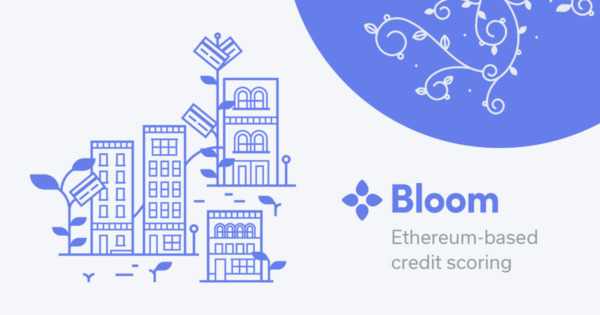 At the very heart of the Bloom protocol and realization of fairer, cost effective, and more transparent credit scoring system are 3 core components: the BloomID (secure global identity attestation), BloomIQ (reporting and tracking debt obligations tied to a person’s BloomID), and BloomScore (metric of a consumer’s creditworthiness). Cross-Border Credit Scoring: Bloom’s credit scoring protocol creates a globally inclusive and portable credit profile, meaning individuals no longer need to re-establish credit “track records” after relocating. Accomodation For Those New to Credit: Users who would otherwise be denied from accessing credit, may now quickly receive a credit score and increase creditworthiness through bilateral stakes with trusted friends, family members, and colleagues. For example, a person without a rich credit history may now utilize the financial history, patterns, and indicators of their peers to ultimately establish an expected repayment behavior. Global Loans: Bloom’s all-inclusive protocol enables borrowers in less developed markets to access credit lenders thanks to developed regulatory and financial infrastructure. Curbing of Identity Theft: All individuals have a unique global secure ID generated, which does not require borrowers to expose highly sensitive personal information. Furthermore, a user’s friends, family, and peers may also attest to various identifying traits of an individual to assist in building a complete and less vulnerable user identity. Competitive Credit Scoring Ecosystem: By decentralizing the credit scoring ecosystem, users are no longer at the hands of a monolithic and coercive credit scoring entity, allowing for decreased costs and an overall more competitive environment. Bloom’s innovative approach to credit risk assessment sanctions both digital assent lenders and traditional fiat lenders to “issue compliant loans” on the blockchain network, while not only serving as a catalyst for lower fees (which increases competition in the market) but for improved borrower experience as well. With 90% of the credit scoring industry dominated and controlled by one major player – FICO – US credit scoring is ripe for overhaul and diversification. Most notably, FICO’s credit scoring system leaves nearly 26 million Americans “credit invisible,” meaning roughly 1 in 10 adults has no actual credit history with any of the nationwide credit reporting agencies. Simply put, America’s “credit invisible” face numerous uphill battles in everyday life, including difficulty purchasing a home or car, renting an apartment, and even opening a credit card (over 2 billion people worldwide are unable to procure a credit card). For example, 91% of citizens in developing countries are denied, or have trouble, receiving financing from traditional banking and financial institutions. And, for those borrowers who are actually afforded credit, they’re often required to take on debt before actually obtaining a credit score. Bloom gives the invisible (and marginalized) a fighting chance to open lines of credit and access necessary goods and services they might otherwise be excluded from. Simply put, Bloom is equalizing the credit scoring playing field. Still unconvinced? Bloom saw record signups in March of this year after a massive Equifax data breach, which was estimated to have affected nearly 150 million consumers. A safer alternative is much needed. Cue Bloom. Also, keep in mind that credit loss due to identity theft exceeds over USD $21 billion each year, with an estimated 19 persons per minute falling victim to malicious hacks and attacks. The removal of a single, centralized entity in charge of highly sensitive personal information in favor of a decentralized system not only decreases common network attacks (e.g. Sybil attacks), but minimizes the corpus of information available should anything go awry. As of October 1, 2018, Bloom sits at 493rd in Coinmarketcap.com’s market cap rankings, and is priced at US$0.10 per BLT or 1,540 Satoshis. You’ve been given a nearly one-year reset in terms of overall market capitalization of the cryptocurrency market this 2018, so it would seem imprudent to be unprepared for correction this 2018 or 2019 (or who knows, maybe even much further down the line). There’s no set formula when investing in cryptocurrencies, as the market has shown to weed out even legitimate projects (which proved unsustainable due to lack of funding), on top of the far too common scams and decentralized snake oils we know all too well. When investing in cryptocurrencies, all you can do is take the information available to you at the time, and make your best decision based on it. So, if you’re deciding to take a gamble on some low-market cap cryptos this bear market, keep the aforementioned projects in the back of your mind, as they are not only tackling industries ripe with fraud and identity theft, but also seeking to connect the present-day blockchain ecosystem in unprecedented ways. A little gamble never hurt anyone, but make sure you’re properly allocating funds when investing in lower cap altcoins and associating yourself with projects you believe to have true utility. We’d love to hear your favorite low market cap crypto of the above four, if you think we missed any particular low cap projects, and any other projects or altcoins you think are worth watching this 2018. Let us know in the comments! Owen has a background in law, SEO, and legal marketing, and has been investing in cryptocurrencies since 2015. He is especially interested to see how blockchain will intersect with the law, and its effect on traditional legal assistance and services. Aside from crypto, Owen likes baseball, meat, and chess. Hey Bob! Thank you for the comment. Updated to reflect that! Cheers and glad you liked it.